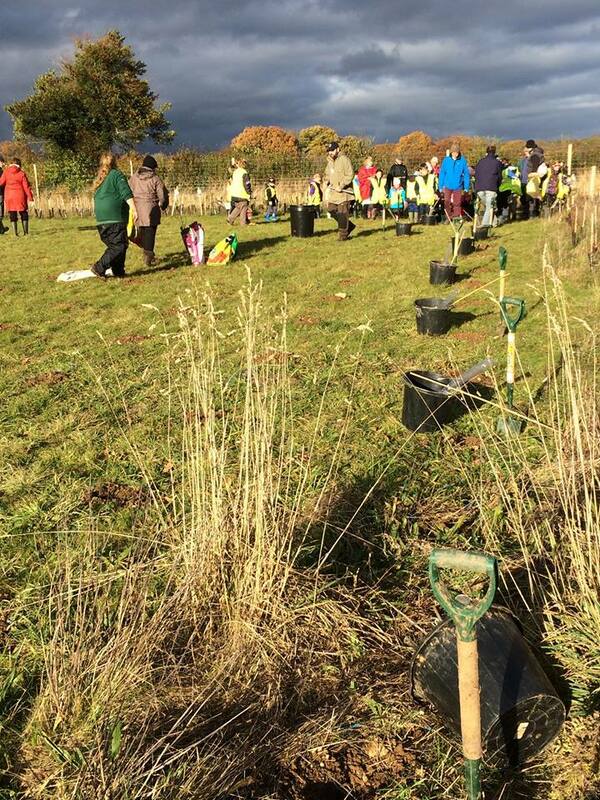 Our aim is to involve young people in our community in tree planting. Through Harmony Woods, our new and evolving community woodland, and associated growing gardens, we will teach care for the environment and provide opportunities for volunteering, learning, training, enjoyment and enhanced well-being. It is our long-term aim to offer a space that inspires a love of the natural world, and that encourages community cohesion through action. By working closely with 25 schools in Andover and surrounding villages, our aim is to involve every young person in our community in 10 years of woodland creation 2012 - 2021. Every year we welcome 1000 children and young people, their teachers, families and friends to plant trees and wildflowers. Harmony Woods is the result of this collaborative action and our flagship community wood, providing a wealth of opportunities for learning in and about the natural environment. We have formed an outdoor learning partnership with 6 of the 25 schools, to develop programmes of study based on trees and woodlands, capable of delivering teaching and learning across the curriculum and using the wood that the children have will continue to plant as a base for field studies. We run weekly volunteering sessions for adults of all ages and abilities across a number of locations focusing on growing trees and wildflowers and woodland management. Our locations include: the new Harmony Woods, mature woodland to which we have management rights, 4 community orchards, our community tree and wildflower nursery and schools' tree nursery beds. By involving the whole community in creating a resource and a legacy for Andover in the form of new urban woodland, open and accessible to all, we aim to aid the development of a sense of community and inclusivity in our expanding town.